​Are you looking for a reliable and affordable electrician Doncaster ? If so, you've come to the right place as we've got all your electrical service needs covered! We are one of the most reliable and dynamic company in the area providing domestic, commercial and emergency services. ​Offering Professional and Affordable Electrical Services. In order to get the most out of your electrical connections, they should be well-designed, installed, and regularly repaired and maintained. This is a process that you obviously cannot undertake yourself and that is why we offer our professionalism and experience as electricians Doncaster to get the job done for you. Our team of committed contractors is well-trained and certified to handle all types of industrial, commercial, and residential electrical jobs. We understand how difficult it is for you to find a trustworthy and reliable electrician Doncaster East and that is why we quote transparently so that you know what is in it for you before the job begins. We always conduct ourselves professionally and respect your premises. Having mapped the needs of residential and commercial entities, we are proud to offer all round services that are personalized enough to give each of our clients a service they can identify with. We are a friendly team of electricians who pride themselves in supplying quality domestic electrical services at such an affordable rate. Reliability is our guiding pillar and all homeowners who come to us with needs know that our commitment and guarantee stand. For the many years we have beenserving locals, we can without a doubt put it to you that almost every job you assign us will be done to your expectation. Not many domestic electricians will give you a 100% satisfaction guarantee, but we do because we trust our knowledge and are passionate to meet your needs. Faulty connections at your workplace can affect productivity as well as pose a safety threat. Whenever you call us for an electrical issue, we first do an assessment with the aim of uncovering any other hidden problems before we lay down our approach. As experienced and highly trained industrial electricians, our skillset when it comes to installing and maintaining your industrial equipment is unmatched. We are skilled in PLC programming as well as the installation and regular maintenance of complex three phase industrial equipment. 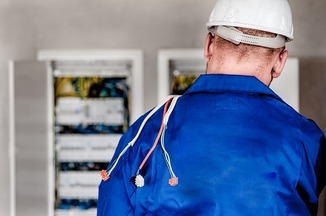 When your connections or components develop problems, you do not really need to be worried about the time or day because we have emergency electricians on standby who will quickly respond to your service call and visit your site. Our vans are branded and fully stocked with the necessary products and parts to enable our electricians resolve your problems on the spot. Our pricing is competitive and we have no hidden costs. Our transparency is what has kept us in the business and enabled us maintain lasting relationships. As always, we strive to complete our work with minimal disruption to you and your family or employees. We are not your ordinary electrical contractors because our experience in lighting design and installation is second to none. We all know how important lighting is in our homes, offices, outdoor areas, or entrance foyers. It provides the necessary ambiance and atmosphere to get things moving. Based on our experience, homes and businesses can save loads of money by switching to LED lighting. The energy consumed by hungry lighting system may seem negligible, but with time this cost becomes significant and can drain your budget and affect your bottom line. We always keep abreast with the latest lighting technology and designs that manufacturers keep on releasing every now and then. Because we work with these products on a day to day basis, you can trust us for sound advice on possible lighting design and installation solutions. Once we finish our design and installation, we are always available to give you technical and maintenance support where necessary. We are not a flight-by-night company. Modern households can be very demanding especially with respect to energy. This brings a problem down the road because many switchboards installed in older houses cannot sufficiently meet these demands. This is why cases of power surges and unnecessary tripping are common in many homes. This is dangerous because it puts your expensive electronic gadgets at risk of blow ups due to unexpected power surges. In addition to this, obsolete switchboards can be potential sources for electrocution or fires. 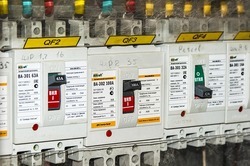 We install modern switchboards which have safety switches and fast electronic fuses that can help alleviate this problem. We offer a comprehensive range of switchboard and related services including installation, repair and maintenance. We can also do the same for commercial and industrial entities. When renovating office buildings or bringing in new manufacturing equipment, we advise our clients to do switchboard upgrades to measure up to the new energy demands. If your wiring or lighting system has problems, you need the services of an experienced electrician Sunshine Coast . 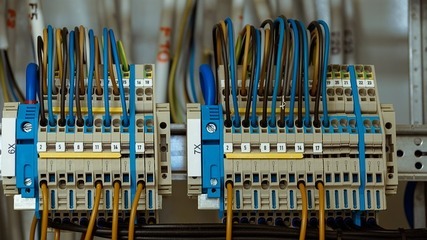 On several occasions, we have been called upon to help diagnose and advice businesses and households on their connections. We always do this professionally and cost-effectively. Why We Are the Leading Electrical Services Company in Doncaster -If you have any sort of electrical work you want done around your home, office or plant, you can always rely on us for quality work at the right price. We have been servicing the needs of businesses and households for such a long time and we are experienced enough to bring you onboard as our client. What areas DO we light up? Most jobs will involve the purchase of materials and fittings as well as the labor charge. To ensure that we are on the same page with you, we give you a free and accurate statement that defines what will appear on your invoice once the job is done. We do this as a matter of policy so that everything is on the table and nothing hidden. Our pricing models are on a per project basis and not per hour because we believe in fairness and integrity. We wouldn’t like you to deal with tradesmen who display a sloppy workmanship or bad attitude. This is why we retrain our technicians on soft skills such as communication so that we can be sure the people we send to your business or home will work well with you and their attitudes befit the description of professionals. We respect your premises and will always exercise due care as we work.